10202 Golden Eagle Drive, Seminole, FL.| MLS# U7853515 | Thurston Groves Real Estate Listings, Seminole Florida. Call 727-392-6700. Make the Discovery...Thurston Groves in Seminole! 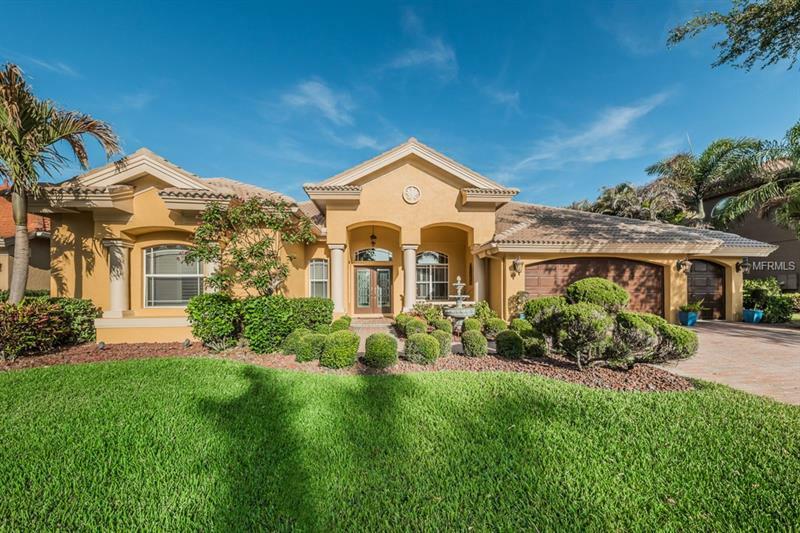 An enclave of EXECUTIVE Homes in the one of Seminole's FINEST Area's! Exceptional Quality offering the ULTIMATE Urban Lifestyle! Upscale Design with a DISTINCTIVE Contemporary look along with a pavered driveway & entry! Casual Poolside living can be yours with the Resort-Like Screen enclosed Inground Pool with Spill over Spa, Extra Large Covered Lanai, Outdoor Kitchen with Gas Grill & Bar & BEAUTIFULLY landscaped Yard! Gracious Covered Patio entry, Soaring 12 Ft Coffered Tray Ceilings throughout the interior of the home & SEPARATE Living Areas! The ELEGANCE is Undeniable â the Living & Dining Area off the entry will be PERFECT for more FORMAL gatherings while the Sun Drenched Kitchen & Family Room with a large two-sided brick fireplace & INTIMATE Dining area are PERFECT for casual living. The Kitchen has AMPLE cabinet & counter space and is the Heart of the Home while the Versatile BONUS Room off the Family Room is where you can get away without going away! There are 4 Generous sized Bedrooms on the Split Plan to include a Colossal Master RETREAT with walk-in closets, Sumptuous 5 Pc Bath & French Doors to the outdoor area! The 4th BR could be a mother in law with an ENSUITE Bath! Three sets of TOWERING French Doors lead out to the PAVERED pool area â your own OASIS after a long day! Other features include a Tile Roof, OVERSIZED 3 Car Garage, Fresh paint throughout, New French Door in Bonus Rm, Newer appliances & more! Unrivaled Thurston Groves!